I collaborated with Tiffany Blaise to create Community Crossing as part of the 10 Blocks of Passion project for Strathcona Business Improvement Association, Vancouver BC. This project highlights one of Railtown’s most loved small businesses, the Railtown Cafe. The simplicity of the design reflects the philosophy of Railtown Cafe’s owner, Dan, of “keeping the ingredients simple and letting them speak for themselves”. 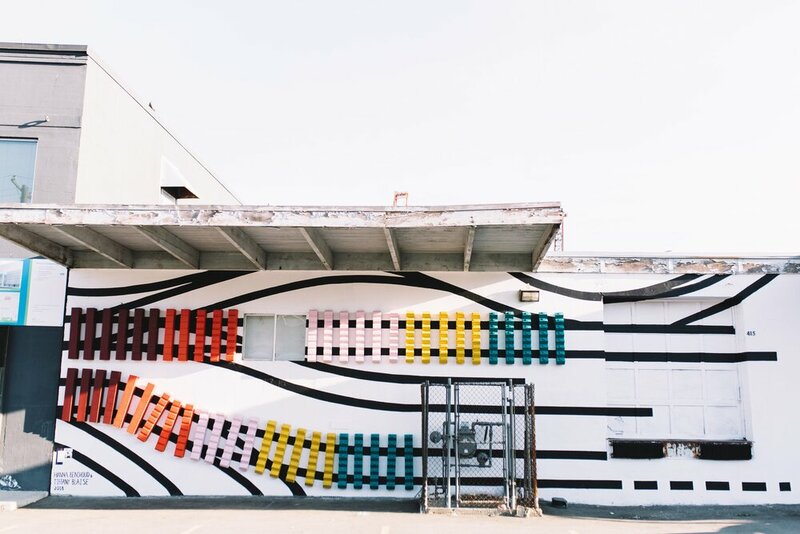 Community Crossing is a 3D mural design that’s also inspired by the history of Railtown and the neighborhood of Strathcona. The colours of the railway sleepers represent the unique character homes that Strathcona is famous for. Bold and colourful, this design breathes life into an old wall and encourages community crossings. I documented the whole fabrication process which was an important learning curve.